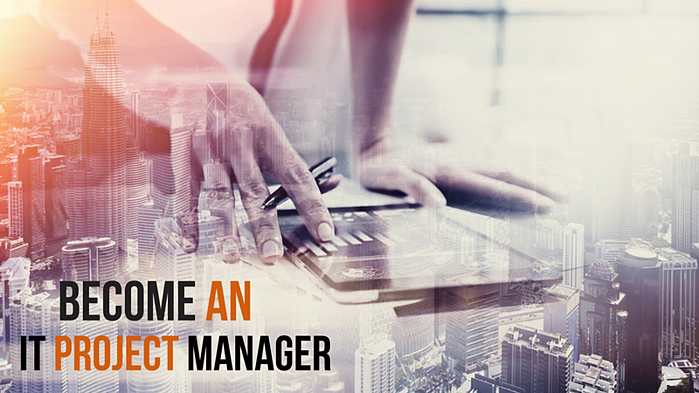 Do You Have The Skills You Need To Become An IT Project Manager? As the IT field increases to expand, so does the demand for qualified Project Managers. This role not only demands technical expertise, but also cohesive soft skills. This complex position can be broken down into three categories of expertise: Business Management, Human Resource Management, and IT skills. If you're currently a manager in information technology and looking to move up to the next level, here are some skills to master on your journey to becoming an IT Project Manager. Studies have shown that the most vital success factor to master before entering project management is effective communication. Managers must manage communication between their crew, upper management, and customers. You can think of communication as the bridge connecting you to your network, so it’s important that you be able to break down the given information and thoroughly understand it. To be an effective communicator, you must provide the correct information, in the correct format, and directed to the right audience at the right time. As a team leader, it will be your job to have your techs ready for whatever comes their way, and to anticipate a whole range of possible outcomes, hiccups and problems. Make sure you're aware of what’s going on in the market and your organization. To prepare, start creating weekly and monthly risk assessment of your current job, in a qualitative or quantitative manner. Identify which risks pose greater threats than others. A good manager is ready to turn on the dime. You’ll often find Project Manager’s working with system design, integration, and custom programming, so It's important to prioritize staying up-to-date with new technologies and programs. Gather a thorough understanding of the commonly used software and applications. Become an expert on the agile methodology with the numerous concepts embedded within (Iteration. Sprints. Scrum.). If you lay the groundwork now and continue to invest in building your knowledge, you’ll be better prepared for the transition to PM. A great manager can make use of the resources at hand. There will always be time and cost constraints involved in any job. You’ll need to assess a project and, using your available budget and resources, to produce top quality results. Part of the joy of this position comes from the constant challenges and problem solving that is required. Though certifications might not necessarily be required to land the PM position, they certainly help prepare you for the role. Experience might be the most important variable when it comes to getting hired; however, coming equipped with certifications very well might place you at the front of the line. The two main Project Management certifications are Project Management Professional (PMP) and Certified Associate in Project Management (CAPM). The PMP and CAPM are heavily recognized certifications out in the field. What you lack in experience can be compensated for by education earned. Out in the field, you might come across situations that seem to have two apparent answers, or none at all. You’ll find yourself deciding which resources to allocate to which project, or which crew member to assign to a which site. There is no such thing as the correct answer, but rather, the answer you believe to be right. Your experience out in the field will have prepared you in more ways than you could expect. Get ready to enter a work environment that invites challenges and enjoys the responsibility of driving business results. Over the next eight years, demand for qualified PM’s is expected to grow 15%, with salaries for highly qualified PM’s averaging $100,000-$130,000 annually. Put in the time and effort to build on these qualities and traits, and opportunity will be there to meet you on the other side.